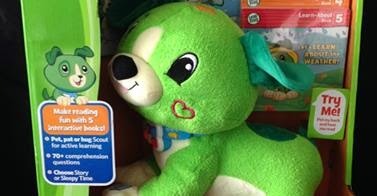 I have been familiar with LeapFrog's Scout & Violet toys for a while, as My Pal Violet was one of the first toys I bought as a gift for my niece when she was younger - it's a toy that has always been a firm favourite of hers and one I always feel good about it as she has loved it so much for so long - money well spent! So when we were recently given the chance to try out the Read With Me version, I was excited to see what was different. 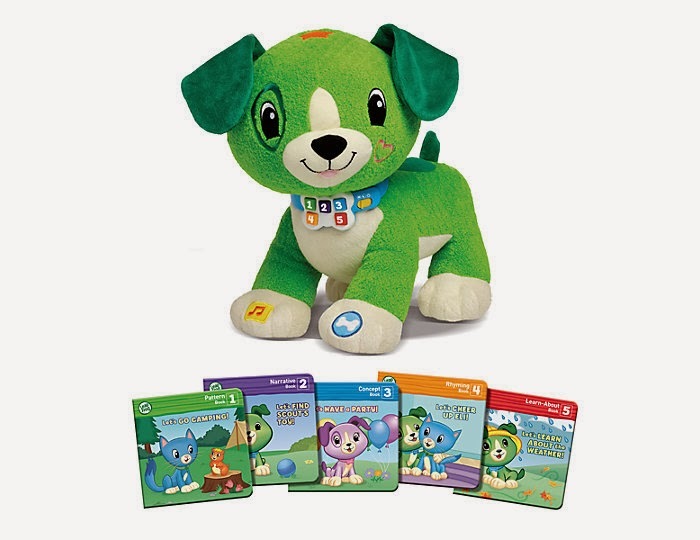 Scout and Violet are very sweet cuddly puppys who interact with your child - Scout is green and Violet is, of course, violet! They come with five little board books which they read to your child - this is great for children who like a story at bedtime as so often one story from mum or dad just isn't enough - so how ideal to be able to have Scout or Violet read a story to them! Of course there are other story-telling toys on the market but what makes this one stand out is how it interacts with the child and helps to engage them in the story, at the end of each page Scout/Violet will ask a question about the story - encouraging the child to really think about what they're listening to and discuss it. 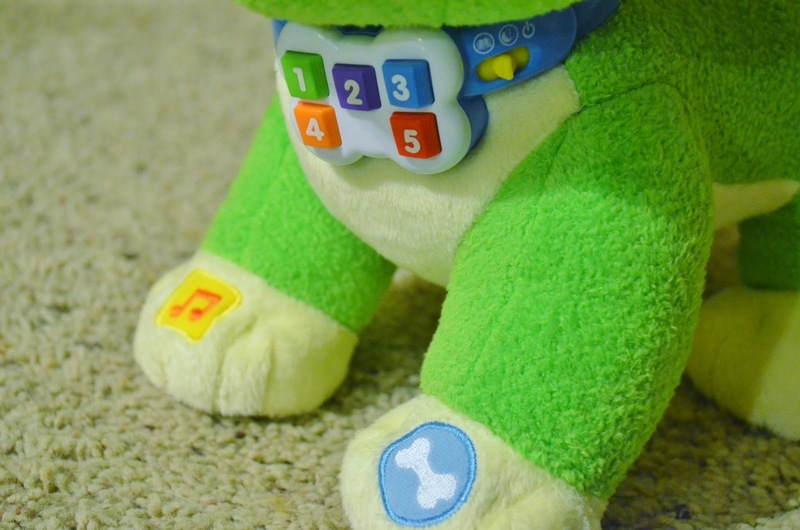 The child is able to control what Scout & Violet do by the various buttons they press - if they press his left paw Scout will sing songs, his right paw will mean he asks more questions/talks more and if they kiss his cheek he says "You're my best friend". SO sweet! This is a really gorgeous toy with so many great and useful features, and one that I think will really help to encourage a child to read along too.